Mon are said to have originated in the middle of Heian period in the form of distinctive patterns representing plants, animals, tableware or letters. The role of the patterns was to label one's family's property (clothes, equipment, armor, etc.). Even today, many logo designs of famous foreign brands are inspired by Japanese family crests. 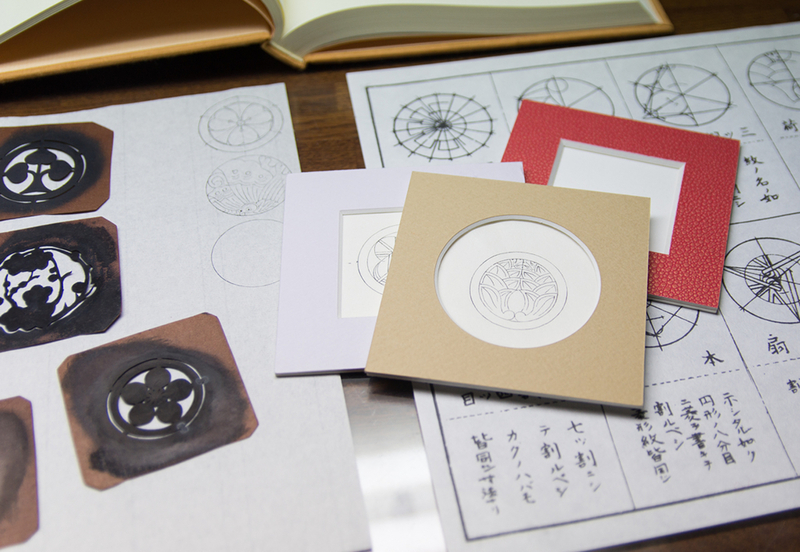 At "Kamon no Koga", you will draw a family crest of your choice on washi paper using a compass. Feel the charm and splendor of Japanese craftsmanship and forget about the flow of time concentrating on the meticulous details of a traditional family crest.